Don't look now, but Brett Gardner is batting .311. Or 100 points more than Mark Teixeira. Wrap your noodle around that one. College divisions expanding. Yeah, sure. but only if it leads to a playoff system. Regarding the MLB Draft that starts tonite.....just a friendly reminder...Albert Pujols was selected in the 13th round. Really surprised that the Red Sox haven't been able—or haven't wanted to—trade Mike Lowell yet. Sure he's getting older, but he did bat .290 last year and had an OPS+. Though that someone like, say the Angels would be all over Lowell to fill in for the failing Brandon Wood, help fill in for Kendry Morales and be a mentor to the younger players on that team. If I were Tom Izzo, I would not go to Cleveland, LeBron or no LeBron. Izzo, you're a great college coach. The pro game, and pro athletes are a whole different animal. Could you imagine if the Blue Jays still had Roy Halladay on their staff? Their top 4 in the rotation would have been Halladay, Marcum, Romero and Tallet. That's a fierce 4 to go into the playoffs with. The National Football Post did a good job scouting and breaking down Terrelle Pryor's game. Short version. Great talent, but still not on top of the mental aspects of the game after two years. Worth a read. Jayson Stark's article about the pitchers GM's project to be the best for the next 10 years is really interesting. Couple shockers. Surprised Phil Hughes, Zach Grienke and Matt Garza were so low and Josh Johnson was so high. And the fact that Tim Lincecum only got 3 votes. Kinda ridiculous. yes he's small, but so is Roy Oswalt. 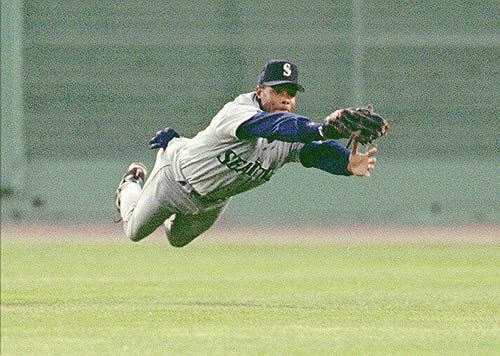 And goodbye and farewell Ken Griffey. While the entire baseball world, seemingly, was taking performance-enhancers, you did it all on your own. God bless and see you in Cooperstown. Everybody loved Griffey. 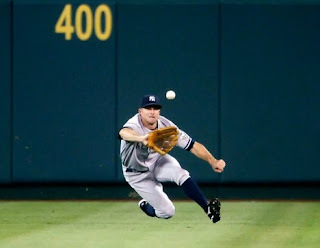 What would have happened if he had been "lucky" enough to be on the Yankees or Sox? The overwhelming love for him would not have been the same, not just in those cities but baseball wide. He would have naturally been more polarizing and in some circles not liked because of the association with one of the big bad bully teams. While some will shed tears for him that he never won, was one of the best ever that never won, etc. I think that is part of why everybody loved him. He wasn't always in your face (Yankees RedSox games on tv every time they play for example). I'm really glad he got to 600+ over the last few years. Other than Sammy - 211 before 1998 and Bonds. Bonds had 374 before 1998 although it would appear he didn't spike as much other than the year with 73 it was about longevity help with him. 600+ is a very significant accomplishment and assuming he did it without chemical assistance he should be held in the highest regard.